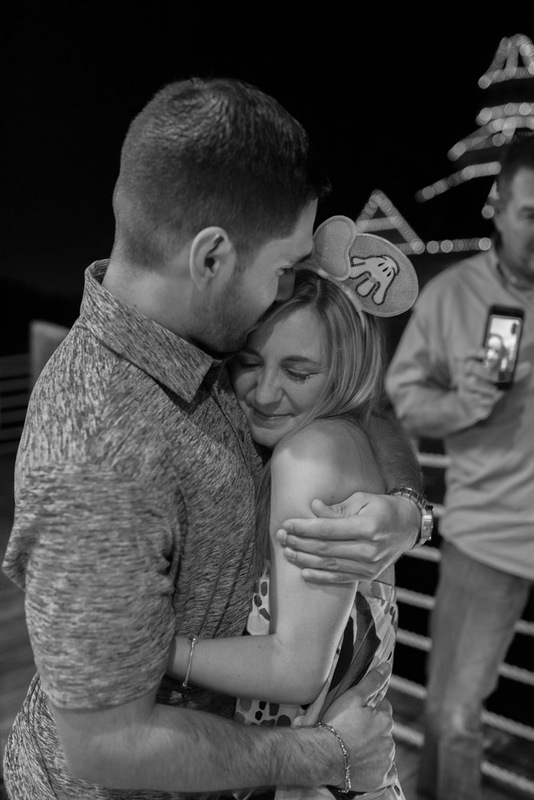 Last year I was contacted by Benny who resided in Texas that he wanted to propose to his long time girlfriend Lindsay in the best way possible closest to the park without getting into the park itself. 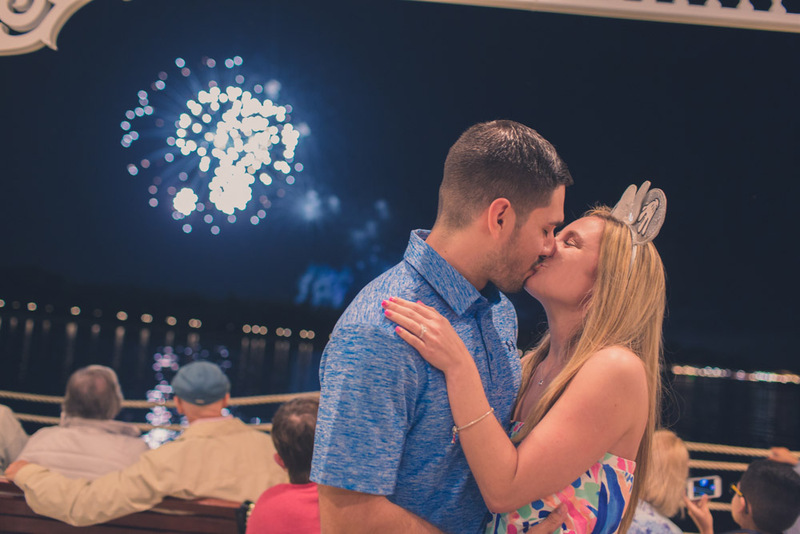 I suggested the dock at the Grand Floridian where the fireworks go off at 8pm that night. 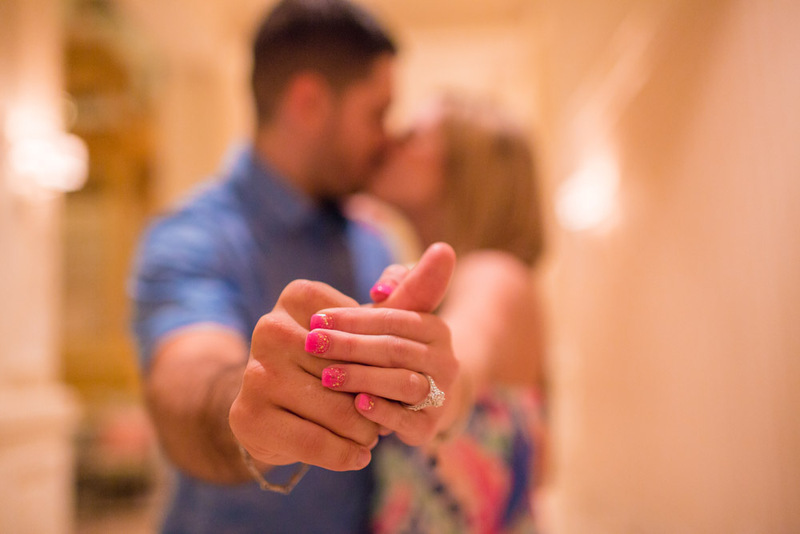 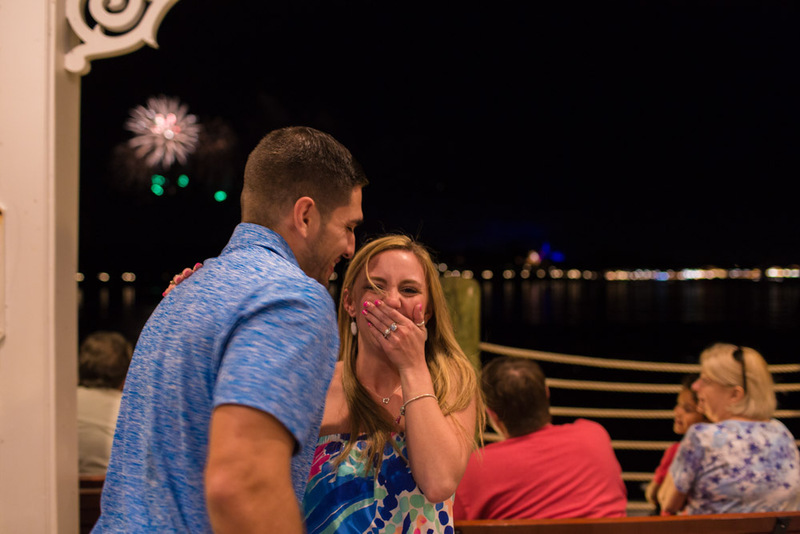 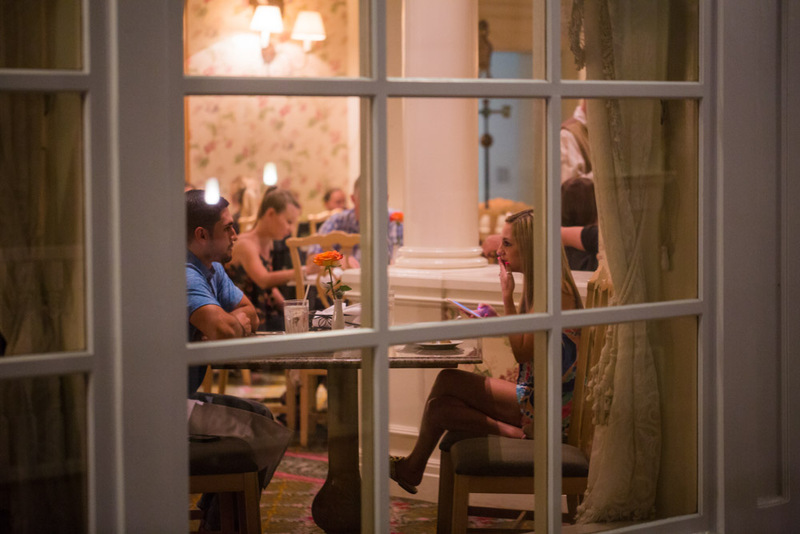 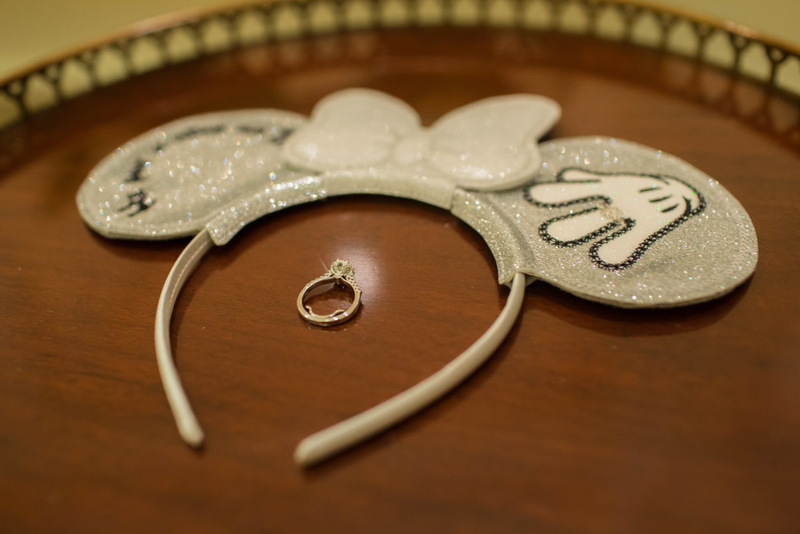 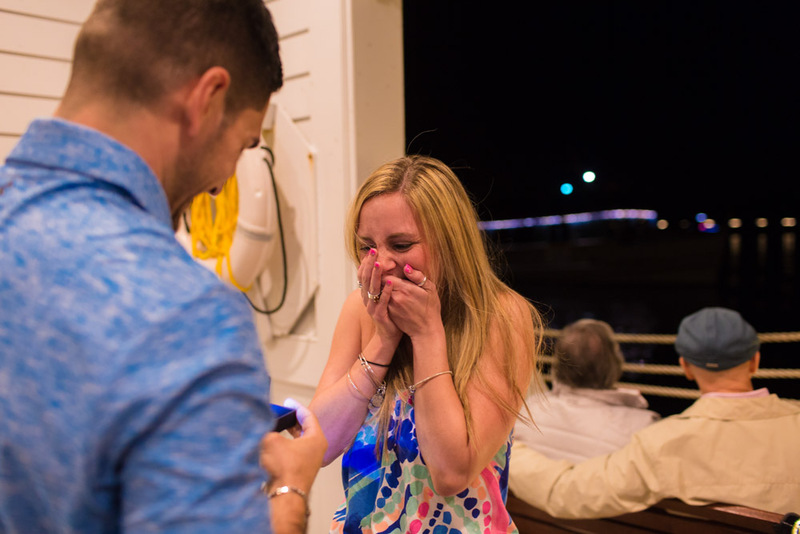 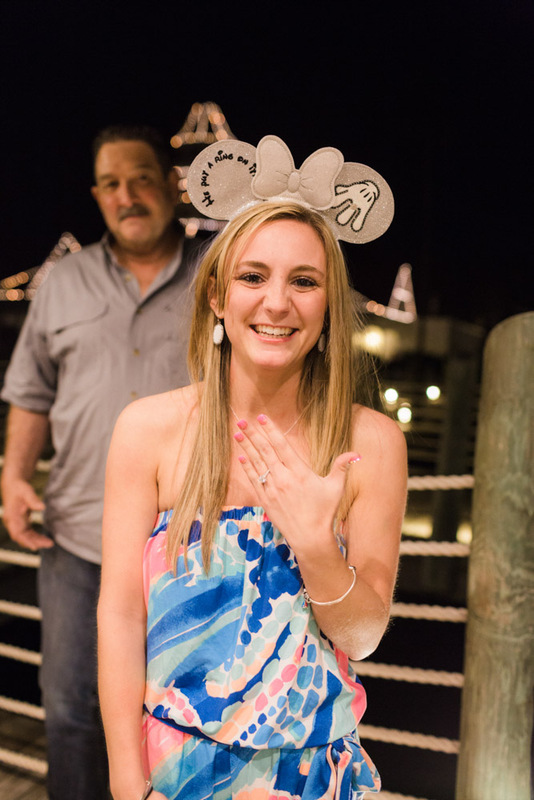 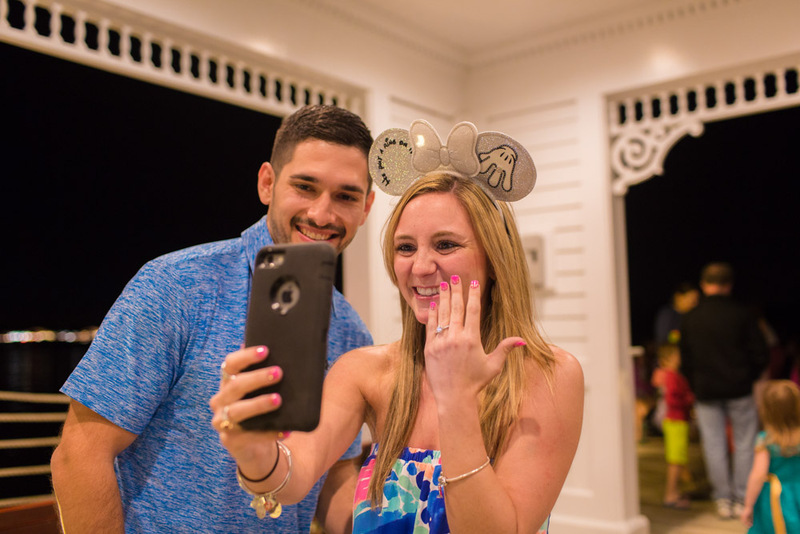 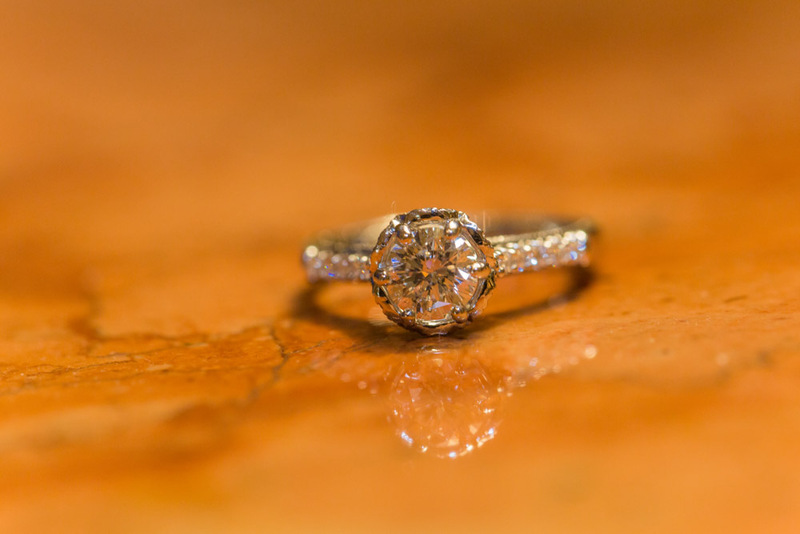 The two had dinner plans at the Grand Floridian cafe and soon when the fireworks was about to go off, both of them walked to the dock and there he popped the magic question, with the assistance of family with the Will you Marry Me signs! 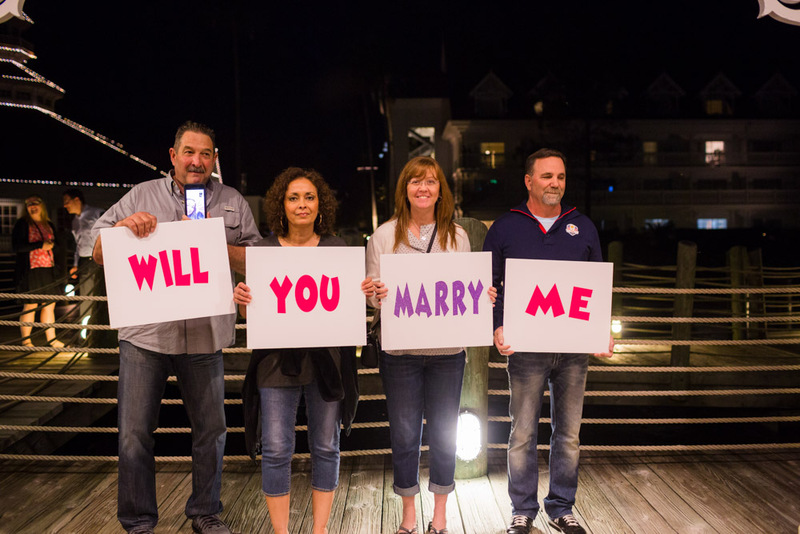 Just involving everyone closest to them was really sweet and I encourage anyone that can, DO IT! 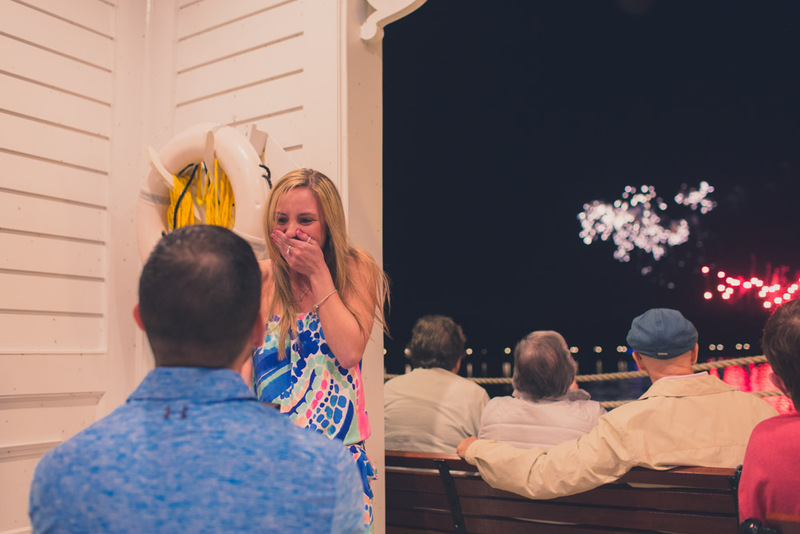 Afterwards we took some portraits afterwards and ended the night with a happily ever after!